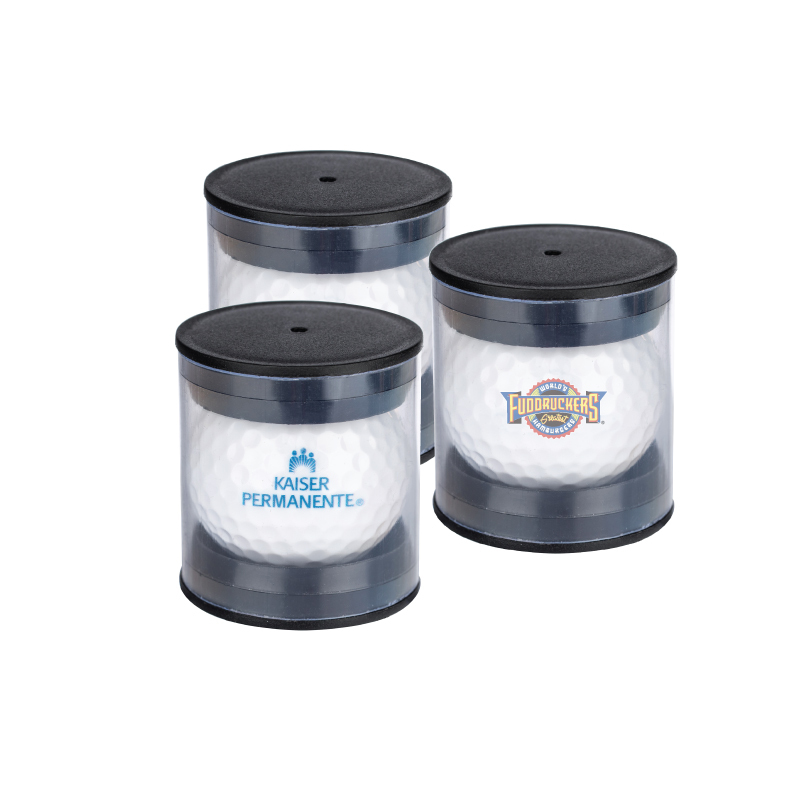 Product Details: Single ball promo pack. Clear plastic golf tube with decorative golf ball. Imprint offered on golf ball. Item Size: 2" x 1 7/8"
Approx. Imprint Size: 7/8" Dia.